[S183] National Archives Film - Queensland BDM Indexes, Microfilm, Reg. No. 1898/B061709. [S684] World War 1 Australian Embarkation Roll, at https://www.findmypast.com.au/, Roll title: 25 Infantry Battalion - 1 to 8 Reinforcements (June 1915 - January 1916). [S714] World War 1 Australian Service Records, at http://www.naa.gov.au/collection/explore/defence/…, Series B2455, item barcode 8193629. [S488] Index - Queensland BDMs (online and fiche), at https://www.qld.gov.au/law/…, Death Reg. No. 22/F5069 AIF, aged 18. [S488] Index - Queensland BDMs (online and fiche), at https://www.qld.gov.au/law/…, Grave Ref. XXXII.Q.1. Longueval is a village 11 kilometres east of Albert. Delville Wood Cemetery is east of the village and on the south side of the road from Longueval to Ginchy. His plot is in Row 32, grave Q-1. [S488] Index - Queensland BDMs (online and fiche), at https://www.qld.gov.au/law/…, Birth Reg. No. 1882/C4763. [S183] National Archives Film - Queensland BDM Indexes, Microfilm, Reg. No. 1882/004763. [S488] Index - Queensland BDMs (online and fiche), at https://www.qld.gov.au/law/…, Death Reg. No. 1926/B49130. [S183] National Archives Film - Queensland BDM Indexes, Microfilm, Reg. No. 1926/B049130. 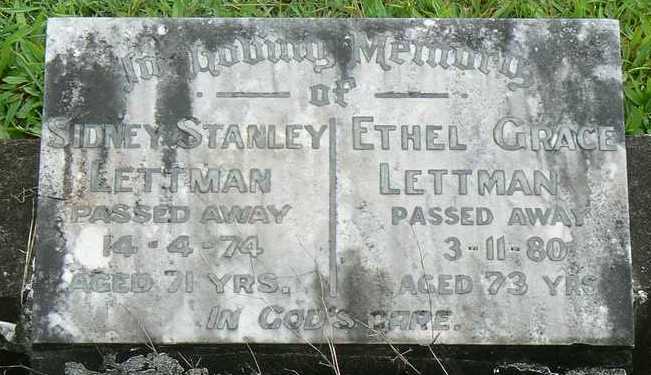 [S489] Brisbane City Council Cemeteries database, at https://graves.brisbane.qld.gov.au/, Portion 15, grave 257 - same grave as James and Ellen Beatty (nee Robinson), although mis-indexed as Lottman, Geo Edward. [S410] CD - Federation Index, Queensland Pioneers Index 1890-1914 CDROM, Reg. No. 1904/004149. [S410] CD - Federation Index, Queensland Pioneers Index 1890-1914 CDROM, Reg. No. 1929/B007168. [S183] National Archives Film - Queensland BDM Indexes, Microfilm, Reg. No. 1902/B005538. [S410] CD - Federation Index, Queensland Pioneers Index 1890-1914 CDROM, Reg. No. 1909/003322. [S488] Index - Queensland BDMs (online and fiche), at https://www.qld.gov.au/law/…, Death Reg. No. 1893/B025654 states he was born England, and was aged 43 yrs, but no English records match his name. [S488] Index - Queensland BDMs (online and fiche), at https://www.qld.gov.au/law/…, Marriage Reg. No. 1877/B005477. [S183] National Archives Film - Queensland BDM Indexes, Microfilm, Reg. No. 1877/B005477. [S488] Index - Queensland BDMs (online and fiche), at https://www.qld.gov.au/law/…, Death Reg. No. 1893/B025654. [S183] National Archives Film - Queensland BDM Indexes, Microfilm, Reg. No. 1892/B025654. 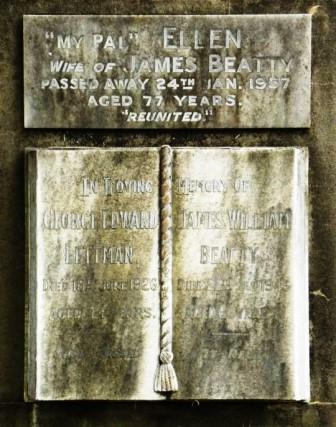 [S489] Brisbane City Council Cemeteries database, at https://graves.brisbane.qld.gov.au/, Grave 182, Portion 7C. [S488] Index - Queensland BDMs (online and fiche), at https://www.qld.gov.au/law/…, Birth Reg. No. 1877/C1963. [S488] Index - Queensland BDMs (online and fiche), at https://www.qld.gov.au/law/…, Birth Reg. No. 1880/C4627. [S488] Index - Queensland BDMs (online and fiche), at https://www.qld.gov.au/law/…, Birth Reg. No. 1885/C7275. [S488] Index - Queensland BDMs (online and fiche), at https://www.qld.gov.au/law/…, Birth Reg. No. 1887/C8473. [S488] Index - Queensland BDMs (online and fiche), at https://www.qld.gov.au/law/…, Birth Reg. No. 1890/C10500. [S488] Index - Queensland BDMs (online and fiche), at https://www.qld.gov.au/law/…, Birth Reg. No. 1893/C8473. [S183] National Archives Film - Queensland BDM Indexes, Microfilm, Reg. No. 1877/001963. [S488] Index - Queensland BDMs (online and fiche), at https://www.qld.gov.au/law/…, Marriage Reg. No. 1902/C792. [S183] National Archives Film - Queensland BDM Indexes, Microfilm, Reg. No. 1902/000792. [S488] Index - Queensland BDMs (online and fiche), at https://www.qld.gov.au/law/…, Death Reg. No. 1921/B035227. [S183] National Archives Film - Queensland BDM Indexes, Microfilm, Reg. No. 1921/B035227. [S410] CD - Federation Index, Queensland Pioneers Index 1890-1914 CDROM. [S410] CD - Federation Index, Queensland Pioneers Index 1890-1914 CDROM, Reg. No. 1906/004191. [S410] CD - Federation Index, Queensland Pioneers Index 1890-1914 CDROM, Reg. No. 1912/003456. [S541] National Archives of Britain, at http://www.nationalarchives.gov.uk, Series HO140 piece 258; A Calendar Of Prisoners Tried At The August Adjourned Quarter Session Of The Peace For The Year 1907. [S190] Index - GRO and Office of National Statistics, England & Wales Civil Registration Qtrly Indexes, Marriage: District of St Giles, Vol 1b, p1282. [S581] London Metropolitan Archives, at http://www.ancestry.co.uk, Saint George, Bloomsbury, Register of marriages, P82/GEO1, Item 049. [S541] National Archives of Britain, at http://www.nationalarchives.gov.uk, Divorce Court file J77/975/9624. [S542] Index - New Zealand BDMs online, at http://www.bdmhistoricalrecords.dia.govt.nz/, Death Reg. No. 2004/14729. [S542] Index - New Zealand BDMs online, at http://www.bdmhistoricalrecords.dia.govt.nz/, Death Reg. No. 2004/14729 gives this birthdate. 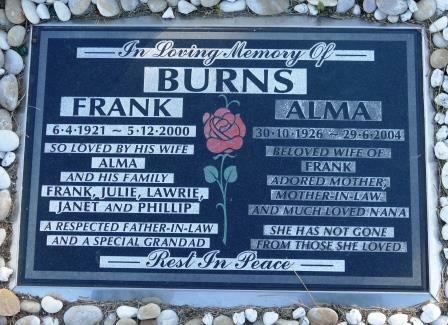 [S1144] Cemetery Marker - , Ruru Lawn Cemetery, Christchurch, NZ, Ruru Lawn cemetery, block 45, plot 430, aged 77. [S443] CD - NZ Marriages, CD - NZ Marriages 1836-1956 V2, Folio 11583. [S419] Christchurch City Council Cemeteries database, at http://librarydata.christchurch.org.nz/Cemeteries/, Ruru Lawn cemetery, block 45, plot 430, aged 77. 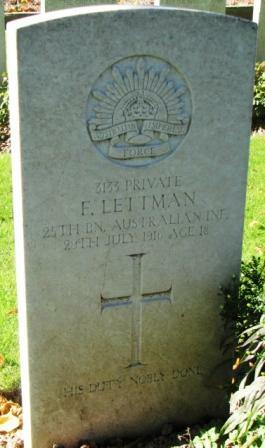 [S419] Christchurch City Council Cemeteries database, at http://librarydata.christchurch.org.nz/Cemeteries/, Ruru Lawn Cemetery, block 45, plot 429, aged 20 years, painter. [S542] Index - New Zealand BDMs online, at http://www.bdmhistoricalrecords.dia.govt.nz/, Marriage Reg. No. 1924/10091. [S542] Index - New Zealand BDMs online, at http://www.bdmhistoricalrecords.dia.govt.nz/, Birth Reg. No. 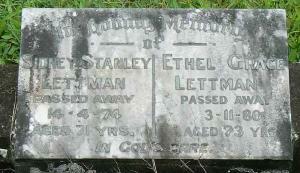 1901/8727, son of Lewis LEVY and Isabella. [S542] Index - New Zealand BDMs online, at http://www.bdmhistoricalrecords.dia.govt.nz/, Death Reg. No. 1961/29105, aged 59.